Special Olympics is celebrating their 50th Anniversary this year. 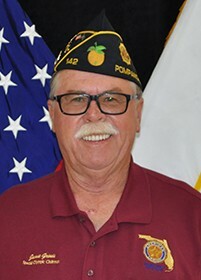 The American Legion has been a proud supporter of this program since 1972. Here in Florida, there is an event happening year-round due to our great weather statewide. Visit www.specialolympics.org for information to find events and how to contribute monetarily or become a volunteer. It is a vital program that helps over 30,000 athletes each year. Feel free to contact me with your questions and how to organize an event in your area to support this program.